In 1923, Madame Alexander began to fulfill her vision of creating beautifully crafted play dolls for children. Over eighty years later, the company she started continues to delight youngsters and collectors everywhere. Madame's mission was founded on her belief that dolls should engage the imagination and contribute to a child's happiness and understanding of the world. Great works of literature, the arts and the different cultures of the world were inspirations for many of her creations. 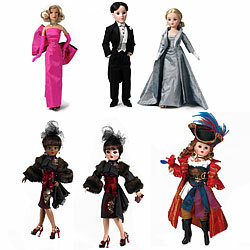 Ultimately, her impeccably dressed dolls came to mirror the changing lifestyles, tastes and dreams of the 20th century. The Alexander Doll Company still upholds to Madame's original philosophy and standards while creating dolls that will appeal to new generations of children and doll lovers all over the world. Through tradition, elegance and innovation Madame Alexander offers a full line of handcrafted collectible dolls, huggable and lovable play and baby dolls, straight from the runway fashion dolls, and today's hottest licensed dolls with Disney Princesses and Fairies Madeline, Eloise, Hello Kitty, French Kitty to the classic brands of Wizard of Oz, Gone with the Wind, American Ballet Theater, Curious George, Charlotte's Web and Edith, The Lonely Doll. To become a dealer, please click here for more information. 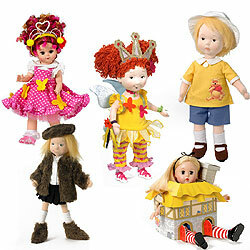 Click here to see some of the newer products ALEXANDER DOLL CO. INC has shared with ToyDirectory and TDmonthly Magazine.